Can't remove angle grinder disc? Are you a beginner? 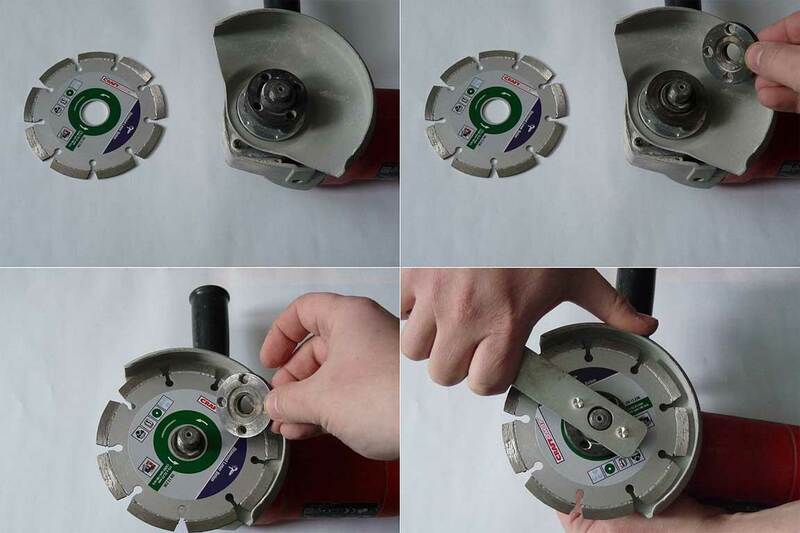 Removing or mounting angle grinder disc can be quite confusing for beginners. The task requires little expertise since it is a simple task that would take a few seconds to complete using the right angle grinder disc removal tool. 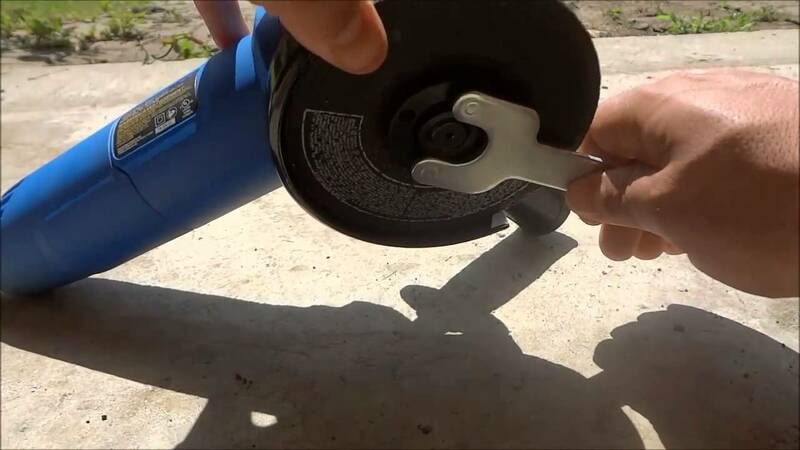 Depending on the tool at your disposal, there are several ways to remove the disk on your grinder.One of the simplest ways on how to remove angle grinder disc is by use of spanners from the manufacturer. However, if you purchased the angle grinder from a friend and the wrenches are missing, that’s not the end of the road for you. Alternatively, other ways still available on how to remove angle grinder disc without a tool. So, what do you need? Relax! In this article, we will give you all you need to know. Angle grinder safety is an integral consideration that should be observed at all time. Your safety comes first. Before you think of removing the angle grinder wheel, kindly disconnect the angle grinder from the primary power source. For a corded angle grinder, it will be of less effort and useful to unplug it from the wall outlet. What of the cordless angle grinder? When handling this tool, you are advised to remove the battery. The absence of the battery also makes the tool lighter and makes it easier to use when changing angle grinder blade wobble. When you buy a new angle grinder, there are two angle grinder wrench that comes with the grinder. One of the wrenches looks like a prolonged fork while the other one does resemble a normal wrench. These two angle grinder disc removal tool will be highly essential in this process. So, how do we use the spanners? First, identify the two holes between the angle grinder motor and the disk. Then, insert the prongs. After that, use angle grinder wrench spanner in securing the bolt on the disk's bottom. To prevent the disk from turning, use a wrench spanner to turn the pronged spanner in the opposite to the direction of the disk arrow. Lastly, turn the angle grinder stuck nut until the disk comes out of the grinder. To drive the bolt, ensure the vice grips is securely attached to the bolt held in the disk. The vice grip will ensure the disk is kept in position and prevent it from spinning. This process seems tedious but is pretty simple. Next, use the screwdriver and insert it into one of the holes between the angle grinder motor and the disk. Then, pull the screwdriver in the opposite direction to that of the arrow disk. Once the disk has loosened, you can now easily remove it using your hands. Using the same technique learned above, put the new disk on the drive bolt. Have it correctly placed just like the old one.Using right disk for a particular angle grinder is important. 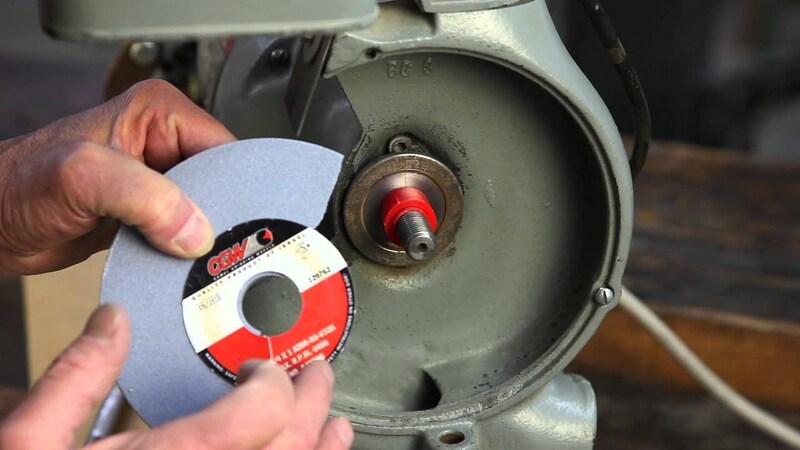 If you are not certain, you can always carry your old disk to the shop to get the right disk for your grinder. Finally, hand-tighten the disk in the opposite direction from which the previous or old one was removed. Your grinding, cutting or polishing can come to a standstill should the wheels or disk wear out. The situation can worsen if you don’t have the necessary angle grinder removal tools to help you change the disks. However, this does not mean the work has come to an end. You can still change the disks and wheel without the tools. How? That's what probably you will be asking yourself. OK, worry no more, am going to show a simple method on how to remove angle grinder disk without a tool.Your hands will be enough tool to fix this. First, use you’ll use the palm to drive in the opposite direction to that of the arrow on the disk allowing the nut to loosened enough. Once the nut is loosened, you can now use your fingers to remove the disk with ease. That sounds simple. Isn't it? Probably a big yes from you. However, if all fail. You can always use pliers to break the old disk for easy access to the drive bolt and attachment nut. This should be the last resort if all other methods have failed.